In the world of corporate and business documents, we often pay a lot of attention to Articles of Incorporation, bylaws, LLC management agreements, corporate resolutions and other records that govern your business and instruct directors and shareholders how a company will operate. But what if you are buying into an existing company? You may not have the opportunity to mold the governing documents the way you would if you were forming your own business. Instead, you are taking what is already there. If the bylaws are ambiguous, you are buying into that. If the corporate resolutions are poorly worded and only occasionally even written, that’s the management of the company that you are purchasing when you come on board as a member or a shareholder. To some extent you can protect yourself through your shareholders’ agreement. Unlike other corporate documents, the shareholders’ agreement is the company’s contract with you, as someone who is giving good money for an interest (shares) in the company. Your shareholders’ agreement will detail what kinds of shares you are getting. Are you a voting member? Do you get paid before other shareholders? It should also address what happens when someone voluntarily loses their shares, such as, for example, due to a death or bankruptcy. Aside from the practical problems, if a shareholder’s shares pass to someone else, the entire company could lose its Subchapter S tax status, and thus you could lose valuable tax benefits. Sticking to this theme, you may need consent from a third party that they will surrender shares if shares pass to them by operation of law. This often occurs with divorce proceedings. If you intend for a spouse who gets shares in a divorce to sell them back to the company in return for payment, that spouse likely needs to consent to that in advance. That may be your spouse, if you are purchasing, but it could be the other shareholders’ spouses. Either way the spouse’s consent may be needed if you want to make sure that you or your soon-to-be business partners don’t end up with a shareholder that they or you didn’t anticipate doing business with. What if you want out? Is there a buyback provision in your shareholders’ agreement so that if things are not running as you intended, or you think you’re getting the short end of the deal, you can at least exit without having lost money? And if there is a provision for the company buying back your stocks in any scenario, how are those stocks valued? In some cases, the buyback may be simply what you purchased the stock for, but that may not be a fair price if the current market value of the shares has soared since your original purchase. Your shareholders’ agreement may need to have a provision explaining whether experts will be used to do valuations of the stocks if they are to be bought back at their current market value. Many shareholders may have requirements for alternative dispute resolution, such as mediation or arbitration, before any lawsuit can be filed. 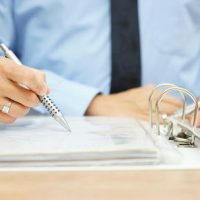 This can allow for a more cost efficient and amicable way to resolve disputes over your shareholders’ agreement in the future. Before you buy into a new business, have an attorney review your documents to make sure your investment is protected. Contact Tampa business and commercial law attorney David Toback to review your business agreements.